Hey, it's me Rogue15 here, I've just fired Rhett for not updating the news on this site... Soon to come: Rogue Squadron Insanity!!! Yes, I know it's outdated, but who cares! It wouldn't be called Insanity for nothing! 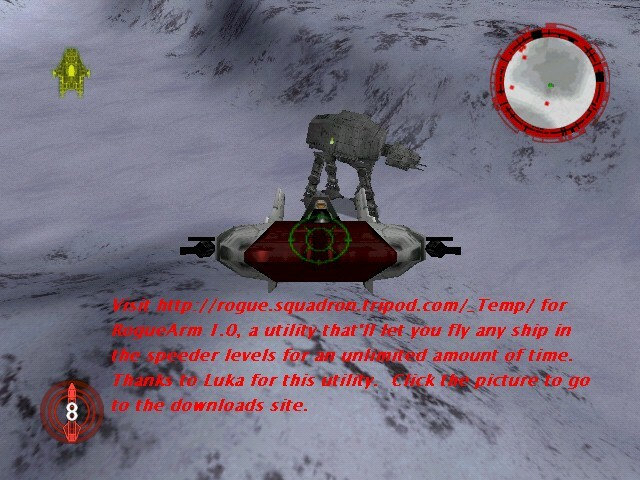 I'll be posting screenshots, info, strategies, and alot of other stuff for the game, Rogue Squadron. Even all the Voice Dialogue! (text format only though). Until then, enjoy the discussions taking place in the community forums!